A better solution to a tired question; are résumés obsolete? I can’t express in words how tired I am of hearing the questions, “Are résumés dead” or “Are résumés obsolete?” I’m almost as tired of hearing this than I am of hearing my daughters arguing over a pair of jeans. It’s as if people are asking and writing about whether the résumé is obsolete to create a self-fulfilling prophesy that will bring on its demise. Personally, I think the résumé has a good deal of life in it. 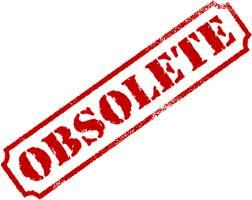 So you can imagine my annoyance when I came across a recent article from my much admired LinkedIn connection, Martin Yate, titled Are Résumés Obsolete? Résumés vs. Social Media; and then my pleasure when he states that both are needed. So the LinkedIn profile, as a passive document that requires employers to type keywords to find you; and the résumé, as a tailored document you send to target companies, which will also look for the requisite keywords in order to find you in their databases. Martin writes: You are going to need both a résumé and a social media profile for your job search, and they are both going to need search engine optimization to be productive. Bottom line: jobseekers need both the résumé and LinkedIn profile in order to compete in this tight job market; and they need to create strategic documents that succeed in landing them an interview. In other words, there’s no reason to choose between the two. I hope this ends the debate, because I for one am tired of hearing it. This entry was posted in Career Search and tagged LinkedIn, resume, social media on October 22, 2012 by Things Career Related. Bob, I couldn’t agree more! The death of the resume is wildly over-reported and most often promoted by those offering “new alternatives” such as video resumes, tweeted resumes and online resumes. Until the vast majority of companies radically change their key internal HR systems and processes, resumes are here to stay and well written resumes will always set candidates apart from their competition. Yes, we need both, regardless of age, industry, and occupation. Thanks for your comments, Jeff.